Crafted in a super-durable, stretchy knit fabric, this sportswear-inspired dress can power through any endurance session…and glide right into happy hour. No sweat. Made in NYC. Slim, body skimming silhouette. Above the knee hemline. Our model is 5’9.5” and wearing a size 2. 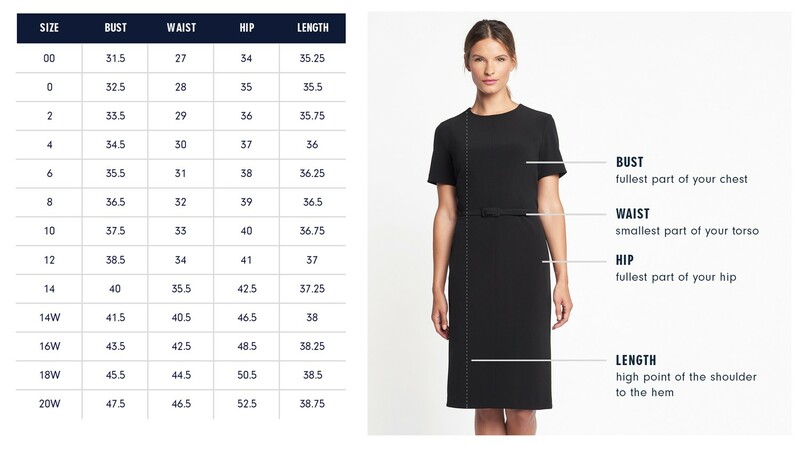 Below are the exact measurements of the Fulton Dress. All measurements are in inches. For general brand fit, sizing, and measurements, please visit our Brand Fit & Size Guide. Slim, body skimming silhouette. Above the knee hemline. I love the seam work in this dress. Not only does it allow me to shape the dress to perfectly hug the figure, but the heavy topstitching gives it a touch of streetwear attitude. Features: Features exposed zipper and contoured seams for a flattering fit.